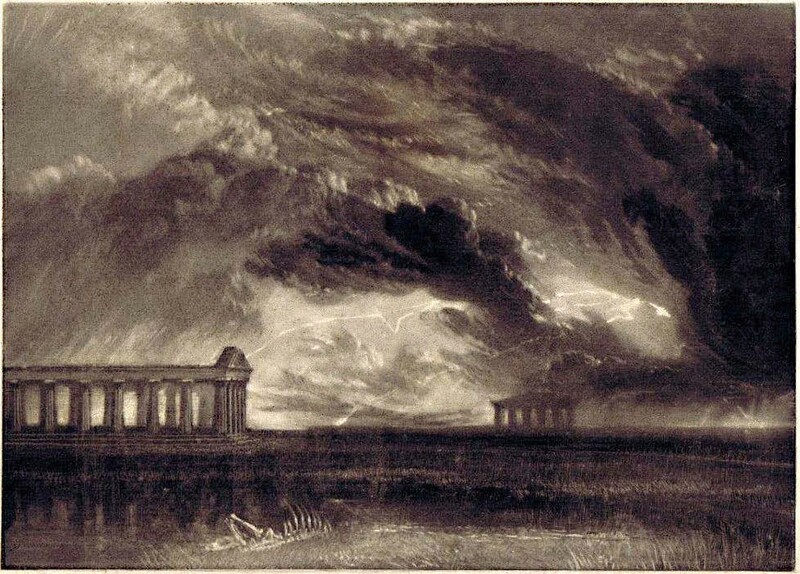 The mezzotints, including Paestum are from his unpublished Little Liber series, c.1822, a set of works produced after he returned from a tour around southern Italy. All show dramatically lit night or storm scenes. Along with his earlier Liber Studiorum, these are the only finished prints Turner made entirely himself – otherwise he always worked with professional printmakers. However, their origin and purpose remain obscure because they were never published in his lifetime. 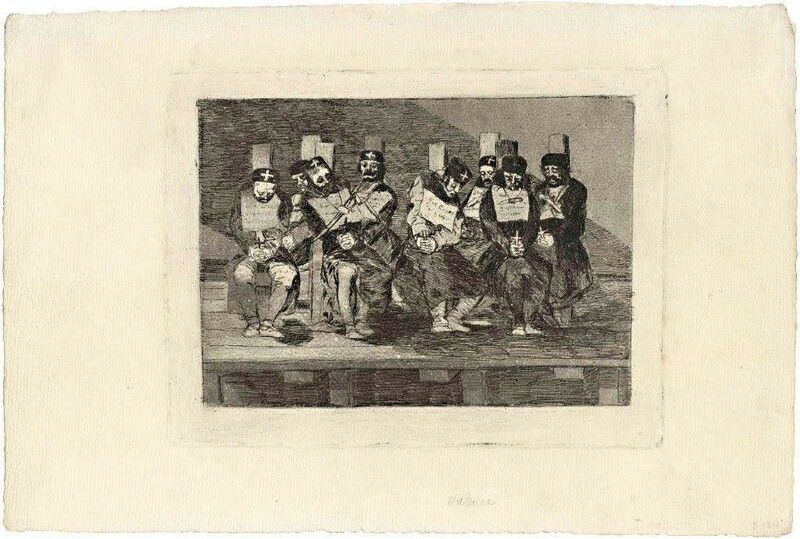 They are among a huge assemblage of Turner prints Gerrish holds. Numbering more than 1000 works, it may be the largest private collection of its type in the world. All are from the collection of Turner scholar WG Rawlinson (1840-1928), who wrote the standard reference on the artist’s engraved works in the early 20th century. “The very first example I purchased was from Craddock and Barnard, the famous Museum Street dealership in London. Little did I imagine that I would end up having accumulated an array of such significance,” Gerrish says. Only a fraction of the entire touched proof collection, priced at £750,000, will be exhibited at the fair. 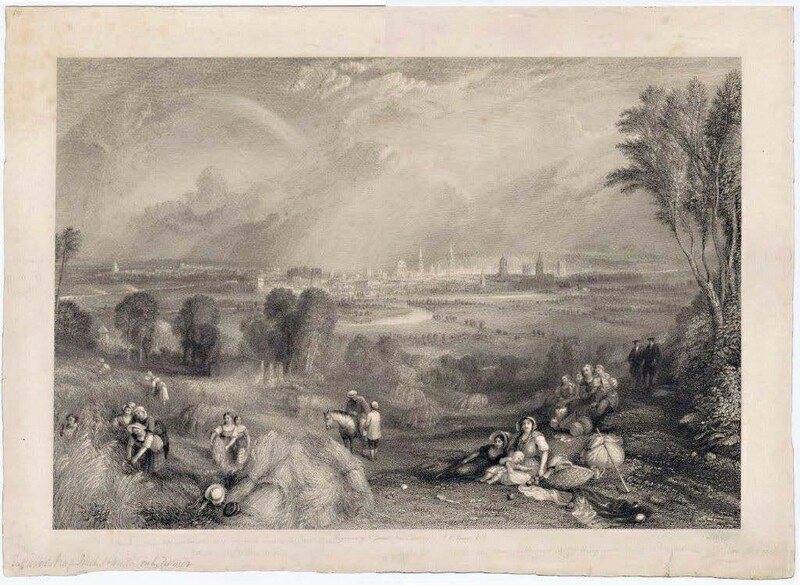 Among the copper engravings on show are examples such as Oxford from North Hinksey. Turner worked closely with the printmakers who produced such works, sending back corrections and alterations until the image was perfected. The largest engravings could take two or three years to complete. Prints are widely touted as a way for collectors to acquire big names at smaller price tags, but at the annual LOPF, where the upper echelon of the medium is on offer, it is not unusual to see prices running into the five-and six-figure range. This is the 34th staging of the event, taking place at the Royal Academy of Arts in Piccadilly from April 25-28. It advertises itself as the UK’s longest-running art fair. Top names are on offer throughout, and though the focus is on modern and contemporary works, there are still plenty of historic names available. CG Boerner offers Francisco Goya’s (1746-1828) No se puede saber por qué, which shows eight convicts, each clutching a crucifix, about to be garrotted for ownership of a weapon. Elizabeth Harvey-Lee, meanwhile, brings Baigneuses gardeuses d’Oies, c.1895, an etching by Camille Pissarro (1830-1903), as well as an etching of a London scene by James McNeill Whistler (1834-1903). Other major names to be found around the fair include Howard Hodgkin at the stand of Bernard Jacobson, Robert Indiana from Galerie Boisserée and David Hockney from Lyndsey Ingram. Those in search of the freshest impressions have a range of newly published editions to choose from, such as Ann-Marie James’ series after Albrecht Dürer’s Small Passion, offered by Karsten Schubert. New for this edition is a partnership with Jerwood, which offers an award to support emerging printmakers with the Jerwood Printmaking Today Prize. Other prizes at the event include The Hallett Independent Acquisitions Award (£8000 to a UK institution) and the Jealous Prize for newly graduated artists. 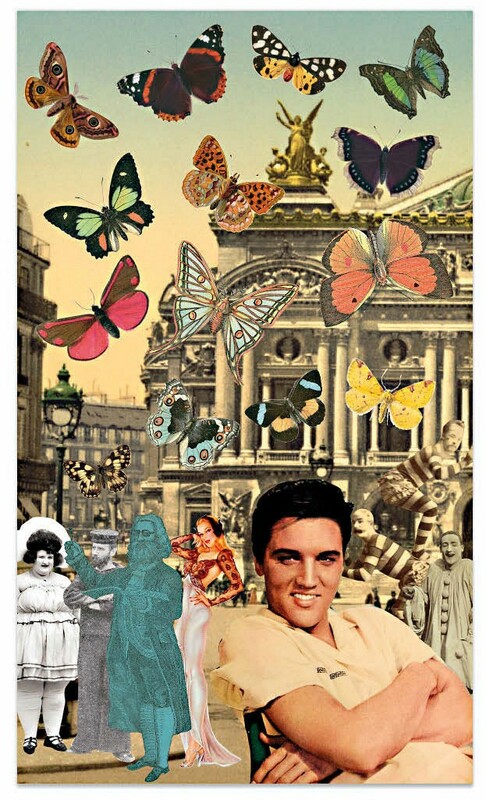 On the Friday, Sir Peter Blake will speak on the development of printmaking practice and media over the ages.